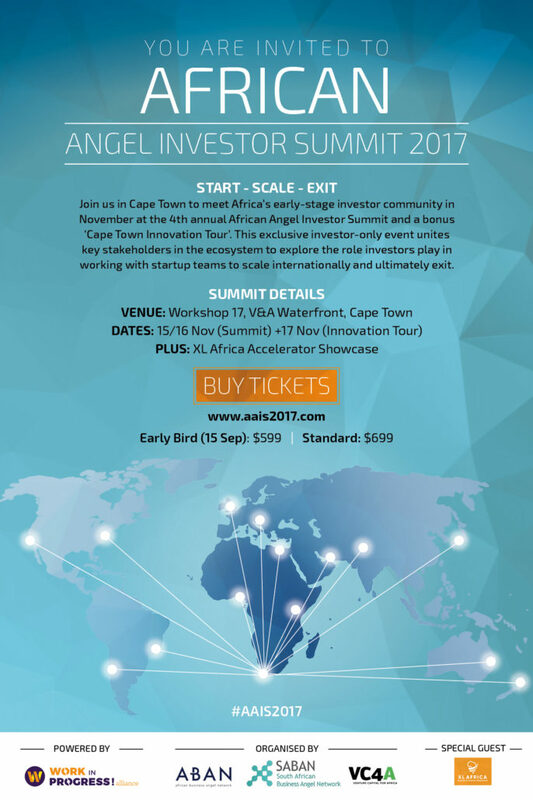 Join us in Cape Town to meet Africa’s early-stage investor community! “The latest South African Global Entrepreneurship Monitor (GEM) report found that only 10.1% of South Africans of working age intend starting their own business in the next three years, compared to 41.6% in the other African countries that were surveyed. 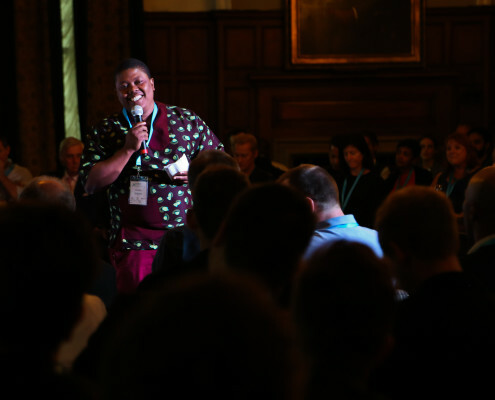 Why are there so few women angel investors in South Africa? It’s a question that continues to puzzle local venture capitalist Andrea Bohmert. “I would love to have the answer to that question, because I don’t have it,” said Bohmert, a partner in venture capital (VC) fund Knife Capital. Bohmert was speaking at a women in angel investing event hosted by the SA Business Angels Network (Saban) last night at FNB’s offices in Cape Town. She pointed out that just one of the 24 investors in Knife Ventures — Knife Capital’s VC company approved by the South African Revenue Service (Sars) in August last year — is a women. “I am convinced that women have better networks (than men)… but that they are worse at using them,” said Bohmert, who added that women are also not good at asking for advice. 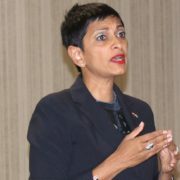 Also speaking at the event, Swiss South African angel investor Nanci Govinder (pictured above), said a lack of knowledge on business angels held women back from becoming angel investors. She said one of the biggest hurdles is that women believe that they need a lot of money to be an angel investor. Govinder is a deal leader at angel investing network Rising Tide Europe and head coach at the Swiss Commission of Technology and Innovation (CTI). The angel investing group’s Swiss chapter has 93 women currently who each invest a minimum of €10 000. The group was set up at the beginning of last year. She said one of the biggest enjoyments of angel investing is seeing entrepreneurs grow and later sell their companies thanks to initial investments from angel investors. In South Africa, more money is chasing fewer deals. “The association will be set up as a trust, registered as a non-profit organisation. It will be an industry body which aims to galvanise and grow angel investment in South Africa. The keyword is collaboration – the creation of an angel investment ecosystem relies on successful networking,” he said. “There is strength to be gained in working together, particularly through a collaboration of minds and experience. It is highly risky to invest in a start-up as an individual. Through collaboration, angel investors reduce that risk,” said Altuntas. Altuntas referred to business angels as the leaders of the world’s early-stage investment market. “In 2015 alone, about 300 000 angel investors in the US invested more than $25 billion in start-ups and SMEs. In Europe, it was €6 billion for that same period. 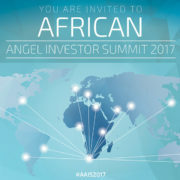 It is estimated that the global market worth of angel investment already exceeds US$50 billion annually,” said Altuntas. “South Africa doesn’t have the pipeline of quality entrepreneurs being funded at the seed capital stage. Angel investment bridges that funding gap,” said Hlophe. “Talent should never have to look for money. Talented people with great ideas should be able to have a few conversations with the right people, in order for money to come to that talent. In South Africa, the access between entrepreneur and investor has been limited. Through SABAN, that gap will be bridged,” said Qabaka. “What has been missing in our country’s entrepreneurial ecosystem has not been the creative ideas, energy or passion, but collective engagement. If SABAN can create the networking links across South Africa, we can partner and engage the African and European business angel networks to share ideas and ways to create even more opportunities for investment and for the creation of wealth for all,” said Mothupi. 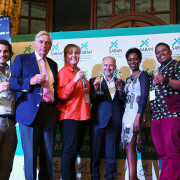 SABAN is supported by the following partners and event sponsors: Newtown Partners, SA Innovation Summit, The Peninsula Hotel, OutsourcedCFO, African Business Angel Network, Entrepreneur Traction, StartUp Grind, Allan Gray Orbis Foundation, Silicon Cape and SiMODiSA. The SABAN founding committee consists of Mvi Hlophe, Bodo Sieber and Chris Campbell. South Africa needs more risk investors, particularly those aimed at investing in talented black entrepreneurs that struggle to access mentorship and funding. Network (Saban) Entrepreneur and SABAN advisor Vuyisa Qabaka (pictured below) said while the venture capital (VC) ecosystem is growing and the state is supporting this with the Section 12J tax incentive (see this post), South Africa needs more risk-taking investors. “We need more more people to put in money in the early stages of the business, in that not so heavy level of R20,000 ($1,500), R40,000, R100,000 investment level (and for) syndicates to come together to put together money towards talent. That’s missing in our ecosystem,” he said. He said angel investing could help fund and mentor rising talented start-ups. South Africa has about 49,000 dollar millionaires who could potentially help seed new businesses and create jobs. 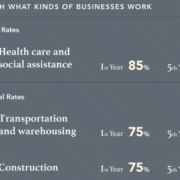 In the US each angel investment added an average of 3.6 jobs, according to a 2014 estimate. A 2015 report said 55 angel investments collectively valued at R42.5 million ($3m), were concluded in South Africa between 2011 and 2015. However the report likely failed to capture the large number of deals which are concluded under the radar. 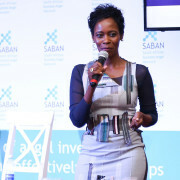 SABAN steering committee member Mvi Hlophe said angel investing is critical to the country meeting its challenges of unemployment and poverty. 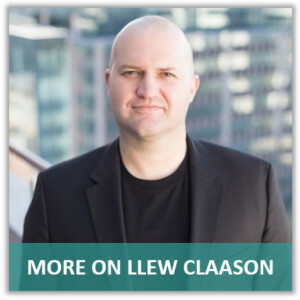 As a private equity fund manager he sees an increasing amount of money is chasing fewer deals. Angel investing could therefore help seed a pipeline of deals, some of which could later migrate to receive private equity investment. 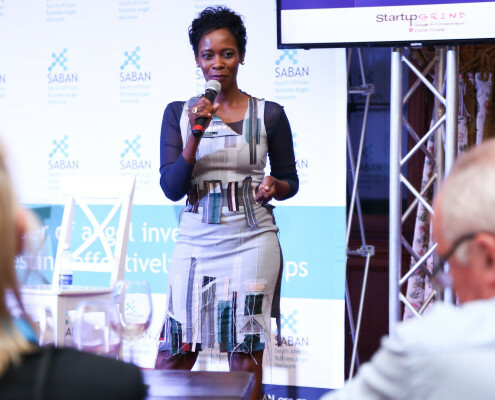 Hlophe says SABAN aims to bring together and accredit angel groups, allowing angels to invest together and in so doing find and validate better deals and lower their risk by spreading investment across various deals. He says the organisation plans to run a set of angel masterclasses early next year. The group is in the process of registering as a non-profit. Angel investor Audrey Mothupi has in the last two years funded a number of small businesses, including a Diepsloot gas distributor who has grown his business to employ 50 people today. 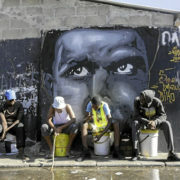 Mothupi said missing in South Africa is a collective engagement about what “I can do”. Perhaps a lesson is to be had for policymakers, in Turkey. A 2013 law allows angel investors a 75% corporate tax reduction should they hold company shares in recipient businesses for at least two years. It’s the biggest such tax exemption offered by any country in the world. 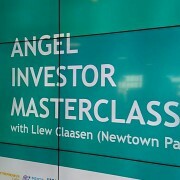 In addition angel investor can get 50% of their investment, matched by a $200m government co-investment fund, in which the government will provide an equity-free investment in a beneficiary. Further to this the Turkish stock exchange Borsa Istanbul in 2014 launched an online matchmaking platform. The “Private Market” platform (www.bistozelpazar.com) allows entrepreneurs to find angel investors that have been registered and accredited by the stock exchange. It offers companies the opportunity to raise finance without going public while allowing company partners to sell their shares, and investors to liquidate their investments. In the first half of 2015 the amount invested in early-stage investments grew by more than 200% compared to the same period in 2014, with the number of investments growing from 22 to 33, according to a tech blog. 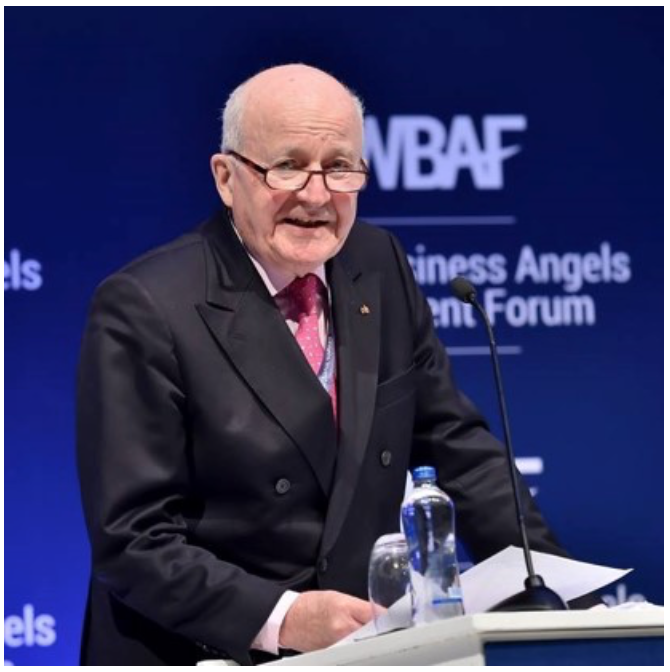 Also speaking at Thursday’s event, World Business Angel Investment Forum chairman Baybars Altuntas, said there are now 400 angel investors accredited by the Treasury, with 16 angel networks (each with an average of 50 angels) now located in three cities. Because of the difficulty of exiting from deals, it is difficult to convince global angel investors to invest in Turkish firms. To address this the government recently allowed global angel investors who can prove that they have been involved in a successful exit, to qualify for the same tax incentive in Turkey as citizens do. Altuntas, an entrepreneur who took part in the Turkish edition of Dragon Den, said back in 2010 he knew next to nothing about angel investing but ordered many books from Amazon.com on angel investing to learn more. “I think Saban has to invite all market players to the same table – the stock exchange, the government – someone has to do it. And creating such an ecosystem will leverage the market in a very short period of time,” he advises. Incentivising those with money, connections and experience to invest in start-ups or helping angel networks to set up (see this post) can only help small businesses in emerging economies to make a bigger impact. More governments should listen up. Stephen Timm is a South African journalist and researcher who has been writing on small business and entrepreneurship in South Africa, Brazil, Chile, India, and Malaysia since 2003. He has written on small business for a number of South African newspapers, including Business Day and Mail & Guardian, and magazines, including Entrepreneur SA and Financial Mail. 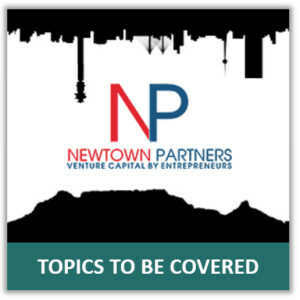 With the South African Business Angel Network – SABAN – launching in Johannesburg on August 24th, 2016, South Africa can claim its first national non-profit association whose purpose is to “galvanize and grow angel investing” in the country. Chris Campbell is an entrepreneur based in South Africa who has been on the front line of SABAN’s creation. 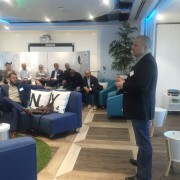 Through his experience pitching and going through funding rounds, Chris saw the need to make it easier to connect South African entrepreneurs and business angels. The inspiration for him to get involved personally came after the EBAN Winter University 2014 in Helsinki, Finland, which enabled him to see what was being done in other countries and that it could be possible for South Africa as well. 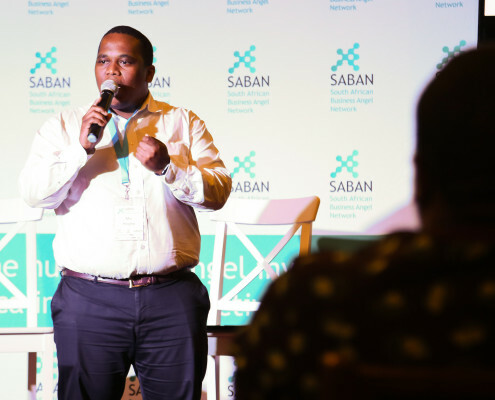 Chris is quick to mention that ABAN – the African Business Angel Network – has been instrumental in providing support to get SABAN off the ground. ABAN spans the whole continent and is envisioned as a “network of networks”. However, it is also in the unique position of helping develop national and regional networks itself, in which regard SABAN will certainly be a testament to its success. The Finnish Business Angels Network and Lagos Angel Network both provided helpful examples to follow as well, for the task of creating a business angel network. 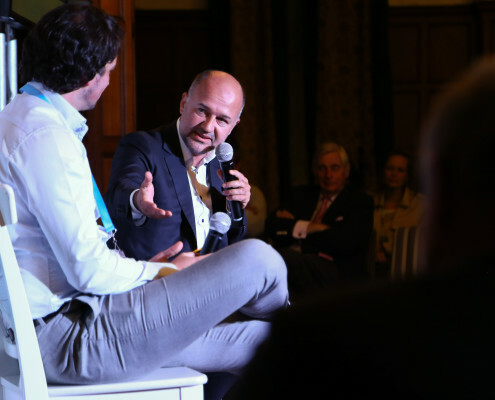 And, ultimately, at the Global Entrepreneurship Congress 2016 in Medellin, Colombia, several South African stakeholders, including Chris, came together to acknowledge that the angel investment ecosystem in their country would be difficult to grow organically unless a catalyst – such as a national network – was introduced. To put the South African economy in context – the country is characterized by extremely high unemployment and low GDP growth, so entrepreneurial initiative is sorely needed to boost the economy. And where there are entrepreneurs, there must also be business angels. While private angel groups and small syndicates do exist in the country, as mentioned, SABAN will be the first ever national non-profit network. Additionally, there is little data regarding business angel activity in the country, however, their number is surmised to be somewhere between 20 and 50 publically known business angels. On a related note, SABAN also aims to increase the amount of information available on early stage market players in South Africa. 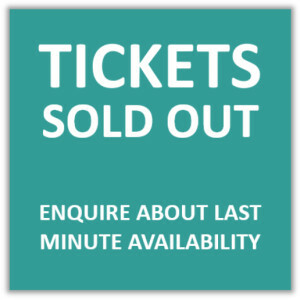 Another, even bigger launch event for SABAN is set to take place in November in Cape Town, and by early 2017 SABAN is expected to be in full force. The organization is headed by a steering committee of Chris Campbell, Bodo Sieber (CEO ofTagmarshal, which recently received German angel investment) and Mvikeli Hlophe (fund manager at SA Enterprise).